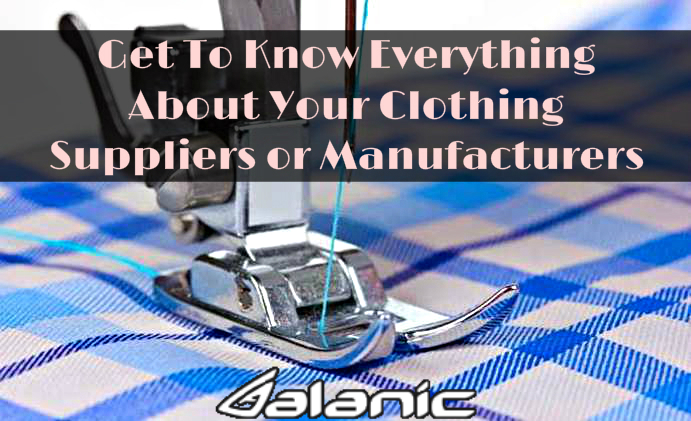 Four Things to Know Before You Settle On Your Clothing Suppliers! When you are arranging resources to start up a business in the clothing line or a retail store, what comes first in mind is the supplier.Hit online whether you want to buy online fitness clothing, online sports clothing or stylish dresses. In the market, where so many companies are available, choosing the right one is undoubtedly difficult. This is why, you need to chalk out few things before you finally settle on one manufacturer who will be the cornerstone of your business. But, what are the most crucial points you need to keep in mind when selecting a supplier for your business? To know, scroll down and roll your eyes! A business begins with investment and if you do not spend in the right way, then you stand a chance to suffer a huge loss. So, before you finalize your deal with the clothing wholesale distributors, then know in details about their costs. Ask them how much they charge for different orders and what is their shipping price. Besides, you must also ask them for information’s sake about how long their invoice can be due and whether you can stretch it or not. If you are opting for a discounted purchase, then peruse the details regarding the deal. If you are new in the field of retail clothing business, then you must make yourself aware about the liability insurance certificate which will save you considerable loss in case any of their products is defective. Through this certificate, you can claim a complete money back or exchange of the products from your clothing manufacturer. Most of the reputed companies responsibly offer this certificate to their customers. So, talk to your supplier regarding it before you confirm your order. The selection of the clothing suppliers must be preceded by a thorough perusal of the customer reviews that are given at various websites. You must know whether the company you are shaking hands with are reliable or not. You must make sure whether they offer high quality materials, stick to the right delivery timing, and work with complete integrity. Otherwise, you might be harassed by their unruly approach that can affect your business. Sometimes suppliers change their price ranges according to the market rates. So, you must have a talk with your clothing supplier regarding the change of prices and in what circumstances it can happen. For example, inflation can increase the standard rates of the suppliers which an surprisingly increase your expenses. If any change really occurs, then request them to send you the notification as early as possible. Apart from this, know if your distributor is going to lower the standard prices if his own cost goes down. So, embark on your venture by following these rules and you will surely see success in the nearest future.